Got a question? Have a look between our frequently asked questions from our visitors and clients. Can't find what you're looking for? Feel free to contact us any time. What is the size of a MapaWall? The MapaWall world maps have a width of 86 inches (214 cm) and a height of 46 inchesÂ (117 cm). The unique magnetic mount system makes it possible to move the individual continents for precision placement. The thickness of the MapaWall world map is about 0.39 inch (10 mm). In what way is the MapaWall attached to the wall? Putting up a MapaWall world map is child’s play. Every MapaWall comes with a templateÂ on which the MapaWall is shown in its actual size. You only need to find a suitable spot for your MapaWall and attach the template. To attach the continents you need to drill seven holes. These can be drilled directly through the template. So no need for marking these points first. The 17 islands are attached using a special gel. On the template you will find both an English and a Dutch manual. In the package there’s also a Tips & Tricks sheet which contains useful information about the installation. What tools do I need to install a MapaWall? -A drill with the size of 0.22 or 0.23 inch (5,5 or 6 mm); for drilling the holes for the suspension. ForÂ a relatively soft wall we recommend to use a drill of 0.22 inch first. This, in order to prevent the holes from being to big for the plugs. All other remaining materials are included in the MapaWall package. Are MapaWall's made of sustainable wood? The majority of our MapaWall world wall maps are made from wood or wood products, including high quality veneers and PEFC wood. We are very thankful to mother nature for providing us with the resources for this beautiful product. With the sale of each map we donate 10 dollars to the project Plant a Billion Trees of the Nature conservancy. 10 Trees can be planted for this amount. You may decide in which region (Brazil, China or the United States of America) the trees are planted. You will receive a personal thank you from The Nature Conservancy. If you make an extra donation and give us permission, you will be mentioned on our MapaWall of Fame. For more information, go to theÂ Compensate page. All products are shipped with the insurance policy of UPS (Capital). Orders placed before 5pm (CET) are picked up by UPS the next day. Shipment within the Netherlands are usually delivered the following day by UPS. Oil treatment takes an additional two days. When UPS picks up the delivery you will receive a track-n-trace code with which you can monitor your shipment. We accept the following payment methods: Paypal, iDeal, VISA, Mastercard, Miaster Cash, Addendum Transfer, Bitcoin, Sofort and Belfius Direct Net. We ship our products all over the world. 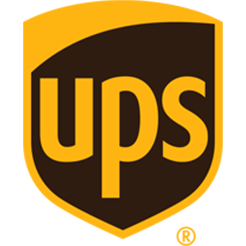 Your map is delivered and insured by UPS Capital to more than 220 countries. When u add a product to your shopping cart and fill in your address you can see the cost of shipping. What are the costs of shipment? Depending on the country shipping costs may vary. When u add a product to your shopping cart and fill in your address you can see the cost of shipping. How do I get in contact with MapaWall? To get in contact with MapaWall please visit ourÂ contact page. If you want to cancel or return your order, you may do say without reason within 14 days taking our Terms and Conditions into account. The costs of returning the product are for your own account. If the product does not meet the expected quality, please contact us by sending an email to return(at)mapawall.com. or use ourÂ contact form. Please note the Order number and give a brief explanation for returning the order.